Hupp JR, Ellis E, Tucker MR. Contemporary oral and maxillofacial surgery. 4thed. Missouri: Elsevier; 2003. p. 95. Montandon AAB, Zuza EP, de-Toledo BEC. Prevalence and reasons for tooth loss in a sample from a dental clinic in Brazil. Int J Dent 2012;20: 1-2. Guo S, DiPietro LA. Factors affecting wound healing. J Dent Res 2010;89: 219-229. Talukdar A, Langthasa M, Barman I. Ozone therapy: Boon to dentistry and medicine. Int J Pre Clin Dent Res 2015;2: 59-66. Kristanti Y, Desy. Pengaruh ozonated watersebagai antiseptik dalam menghambat pertumbuhan staphilococcus aureus. Maj Kedok Gigi 2012;19: 25-28. Velnar T, Bailey T, Smrkolj V. The wound healing process: An overview of the cellular and molecular mechanisms. J Int Med Res 2009;37: 1528-1542. Tiwari S, Avinash A, Katiyar S. Dental applications of ozone therapy: A review of literature. Saudi J Dent Res 2016;6: 105-109. Sari NN, Sururi MR, Pharmawati K. Efek perlakuan pH pada ozonisasi. 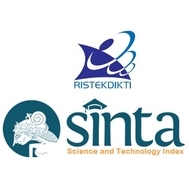 J Institut Teknologi Nasional 2013;1: 1-11. Kumar A, Bhagawati S, Tyagi P. Current interpretations and scientific rationale of the ozone usage in dentistry: a systematic review of literature. Eur J General Dent 2014;3: 175-179. Sujatha B, Kumar M, Gowd P. Ozone therapy: a paradigm shift in dentistry. Health Sci 2013;2: 1-6. Al-Aziz AA, Eweda SM, Kholosy HM. Effect of ozone therapy dressing technique on the healing process of recent 2nd-degree burns. IOSR-JNHS 2015;4: 26-49. Zhao JH, Tsai CH, Chang YC. Clinical and histological evaluations of healing in an extraction socket filled with platelet-rich fibrin. J Dent Sciences 2011;6: 116-122.